Screening Grinders suit wet, dry, or submerged applications. 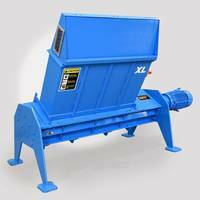 Suited for heavy, solids-laden wastewater applications, TASKMASTER TM1600 Grinders process gravity or conveyor fed sewage screenings and provide in-channel grinding as well as bulk solids shredding. Twin-shaft Model TM1634 features 16 x 34 in. cutting chamber, right angle planetary gear reducer, and counter-rotating shredding mechanism employing cutter cartridges. Hardened alloy 2Â¾ in. hexagonal shafting handles up to 15 hp motor and drives. The powerful TASKMASTER TM1600 series screening grinders were especially designed for heavy, solids laden wastewater applications. These powerful units process gravity or conveyor fed sewage screenings and provide in-channel grinding as well as bulk solids shredding. The TM1634, shown, features a 16" x 34" cutting chamber and a compact, space-saving right angle planetary gear reducer, ideal for plant locations where space is tight. 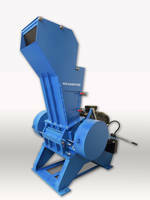 This rugged, twin shaft shredder performs exceptionally even under harsh conditions. 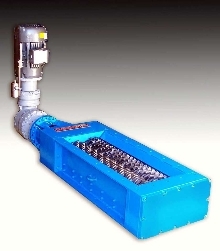 This unit features a counter-rotating shredding mechanism employing unique cutter cartridges that replace individual cutters and spacers of other units. The result is a unit that can handle the toughest solids. The finely ground output is easily processed by pumps and other equipment and increases surface area for improved washing and compacting. 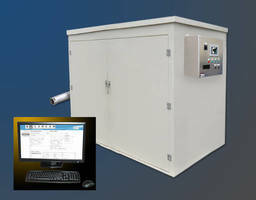 This helps municipalities meet various state and local regulations for disposal, nonrecognizabiltiy and cleanliness. The TM1634 is heavily constructed for long life, durability and low maintenance. 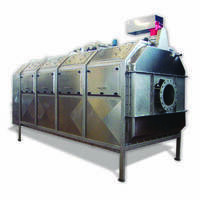 It is equally effective in wet, dry or submerged operation. Unique bearing/seal cartridges and severe duty mechanical seals dependably withstand gritty, abrasive fluids. These units feature hardened alloy 2-3/4" hexagonal shafting to handle up to 15 HP motor and drives. 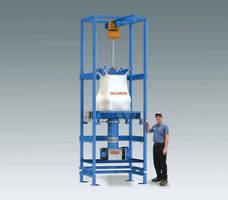 Options include hoppers, stands, stainless steel construction, cleaning combs and hydraulic drives. An automatic jam sensing controller is supplied standard with the unit.